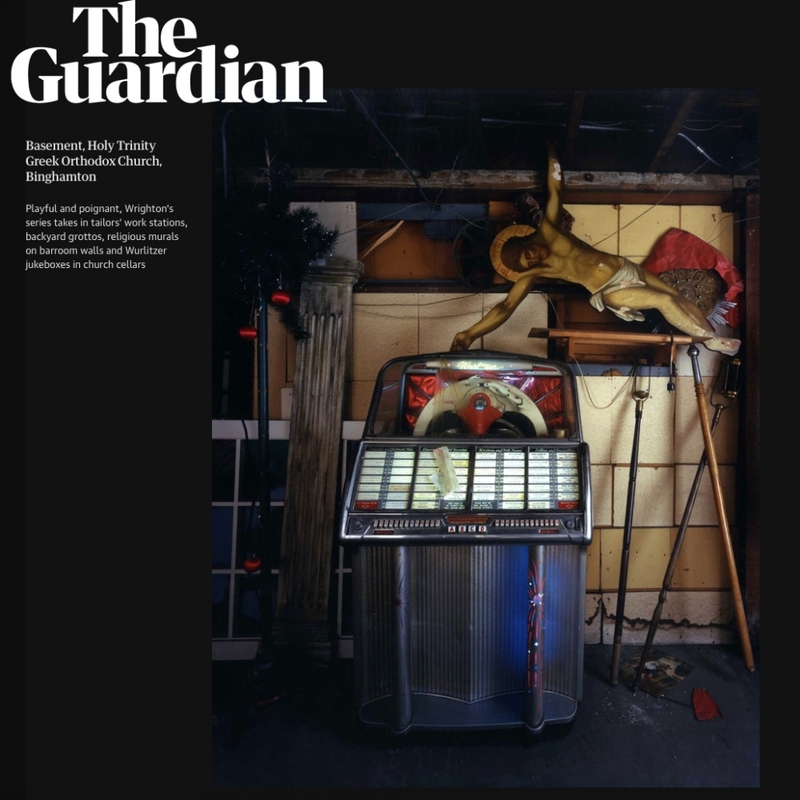 "Playful and poignant, Wrighton’s series takes in tailors’ work stations, backyard grottos, religious murals on barroom walls and Wurlitzer jukeboxes in church cellars. The premise of the series was a kinship between Binghamton’s churches and its taverns. In both places, Wrighton found imagery designed ‘to focus, a way to draw a certain feeling or sense of devotion’"